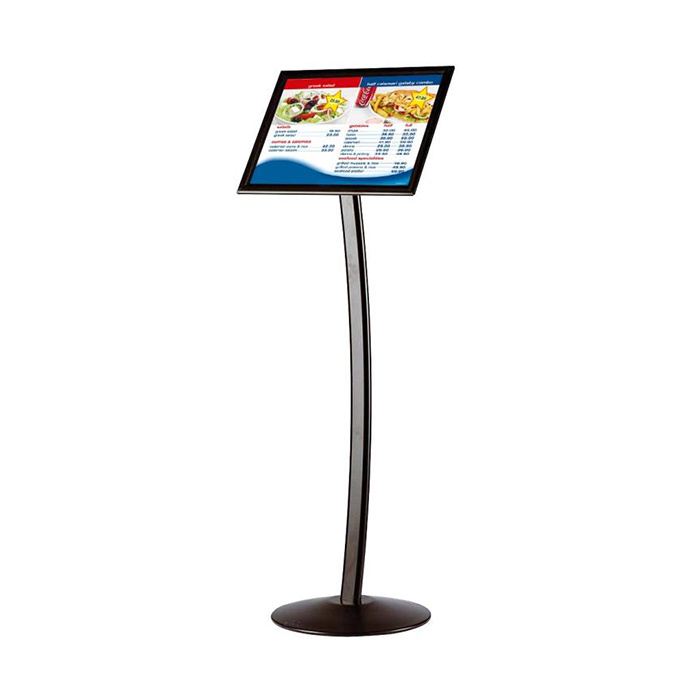 Accepts sign size 8 1/2" x 11"
This stylish curved sign holder captures your customer attention. The unit is suitable for use in hotels, restaurants, galleries, museums and lobby areas to mention a few. The sign holder can be set in portrait or landscape positions. Shipped unassembled with complete instructions and fixing hardware for assembly. Heavy elegant base provides stability.